Serving only dosas, the Basaveshwarnagar Dosa Corner wins for thick, crisp dosas, loaded with buttery goodness. A hole-in-the-wall place, this dosa corner is just that. In fact, you don’t get anything else but dosas here. But since they’re so good, you don’t need to look for anything else. With dosas costing INR 40, those looking for a meal or snack on a budget must go here. The Benne Masale dosas are top-notch. 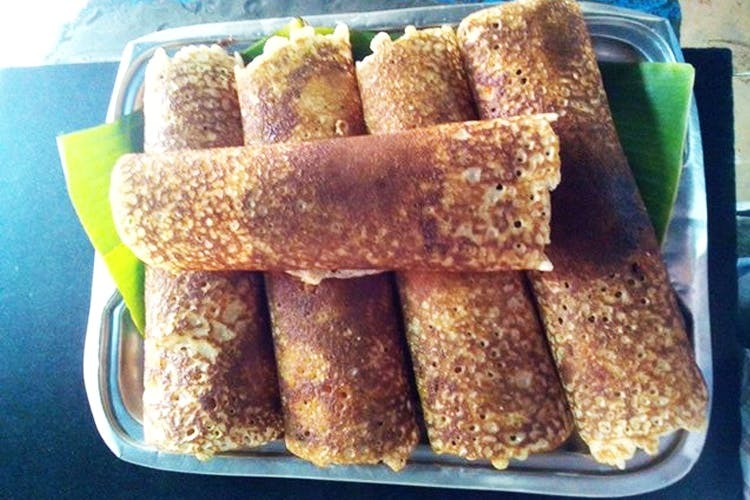 Nothing like the Mysore dosas, these ones are thick but crisp and of course, they come loaded with butter. The concept of ambience is non-existent here. But, since it’s an open kitchen, it’s rather cool to watch how your meal is made. With only dosas being made, it’s mesmerising. They shut down at noon, so get here before then. Or return at 5pm until 10pm.